On 25 February 1916, General Philippe Pétain, attached to French General Staff as Commander of the Second Army, was ordered to save Verdun at all costs. After replacing him by General Robert Nivelle, General Joseph Joffre, Commander-in-Chief of the French Army, promoted General Pétain to Commander of the Army Group Centre on 1 May 1916. 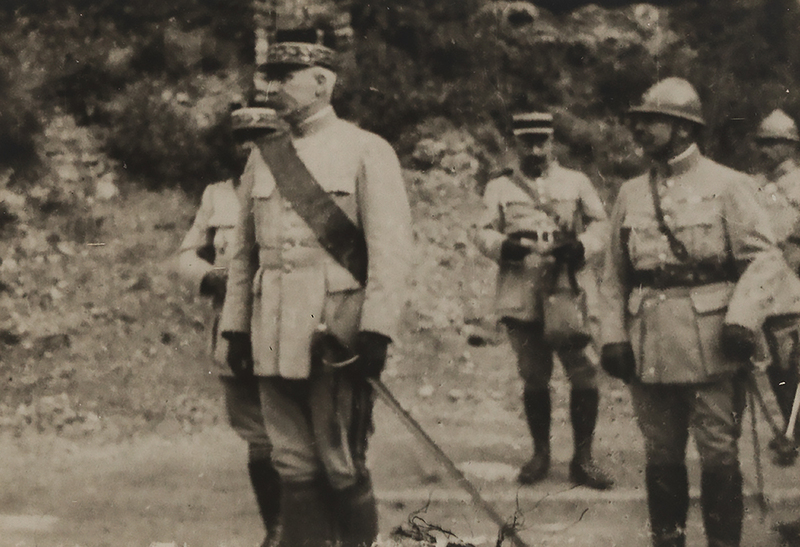 During the battle, General Pétain distinguished himself by his meticulous attention to detail while remaining very active in the development of the operations. It is indisputable that the combination of the extraordinary resilience, courage and sacrifice of Verdun’s «Poilus» led to the final victory. However, General Pétain’s own charisma and excellent organizational skills also played a significant role. General Pétain proved to be an energetic and brilliant chief. He masterfully reorganized the transport system in order to improve the insufficient railroad communications with the rear, readily understood the importance of air power that implied to win the air battle and is best remembered for boosting his troops’ morale with his famous order issued on 10 April 1916: «Courage! 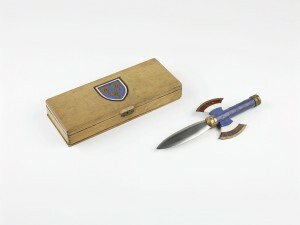 We shall get them». However, General Joffre, who favoured Generals Nivelle and Mangin, both disciples of the offensive doctrine, gradually removed General Pétain from the chain of operational command of the Verdun sector (RFV). 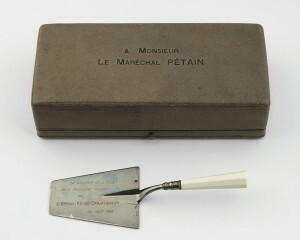 During the French Army Mutinies of 1917, General Pétain postponed the useless deadly offensives and granted more leaves to provide rest for his exhausted units. His sincere concern for the well-being of his men greatly increased his popularity. According to French historian Marc Ferro, there are two distinct beliefs surrounding the Victory of Verdun. The first one adopted by the military chiefs and politicians who attributed the Victory to General Nivelle; and the second one by which all the fighting men hailed General Pétain as their only Commander. 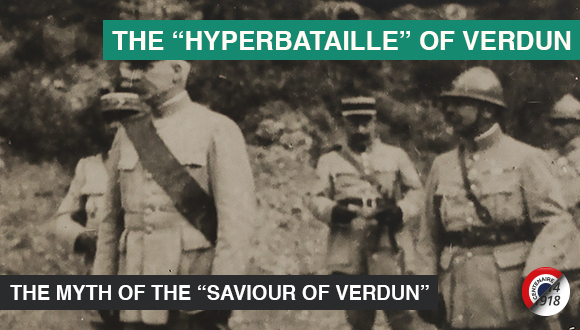 During the Second World War, Vichy propaganda was to make good use of the mythic aureole of the «Saviour of Verdun».